The ability to tell accurate news from fake news is an important skill that you'll use for the rest of your life. 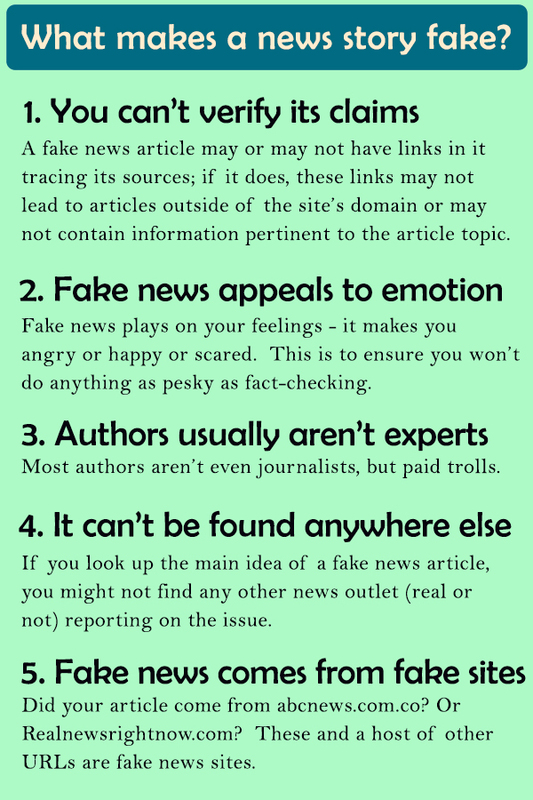 This Research Guide will give you valuable insight in telling fact from fiction online, plus a chance to exercise your newfound skills. The internet is a revenue-generating giant for advertisers, and some companies have found success in disguising their ads as news stories in website sidebars, feeds and at the footer of credible stories. You’ve surely seen the ads for “This one weird trick to help you lose weight.” Finding Good Health Information on the Internet can also be a slog through fake and biased information intended to sell you products. You can always trust Medline Plus for accurate, supported information on health issues.